A Kentucky judge has denied a request for a new trial from a man who a jury said should pay more than $580,000 to U.S. Sen. Rand Paul for injuries Paul suffered when he was tackled by the man. The Daily News of Bowling Green reports Special Judge Tyler Gill rejected a motion Thursday from Rene Boucher's lawyer and said the jury award wasn't excessive considering Boucher's conduct and Paul's injuries. The man accused of tackling U.S. Sen. Rand Paul in the Kentucky lawmaker's yard has been charged with assaulting a member of Congress as part of a federal plea agreement. And his lawyer echoed what's long been suggested by neighbors: The attack stemmed from a dispute about yard maintenance. U.S. Sen. Rand Paul says a man who tackled him in his yard spoke to him afterward about why he was unhappy, but Paul said no explanation would have justified what he called an unprovoked attack. 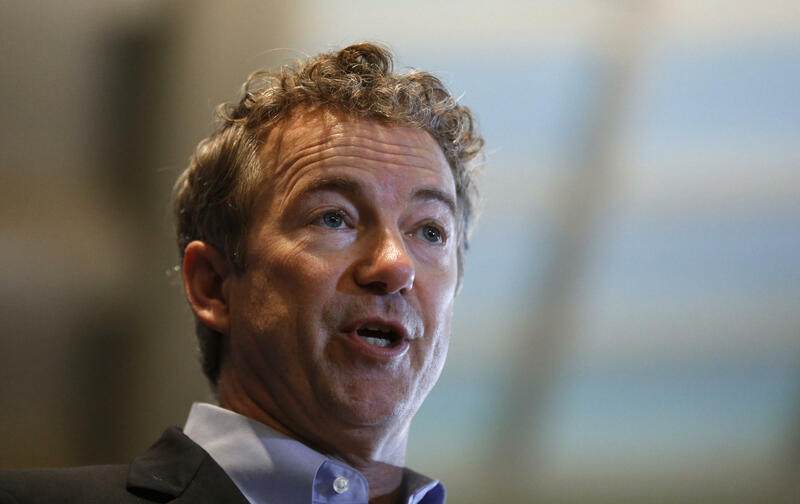 A longtime neighbor accused of assaulting U.S. Sen. Rand Paul and breaking six of his ribs pleaded not guilty to assault in court in Bowling Green, Kentucky. Rene Boucher pleaded not guilty to a fourth-degree assault charge Thursday in connection with the attack as Paul mowed his lawn in the neighborhood where they both live.